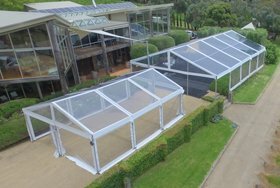 Marquee Monkeys provides an extensive range of marquees for hire across all of Melbourne. Our range varies from 3m, 6m and 10m structures as well as bigger tents for corporate and large sized functions. We pride ourselves on our professional and highly personalised service, which complements our extremely well maintained and up to date stock. 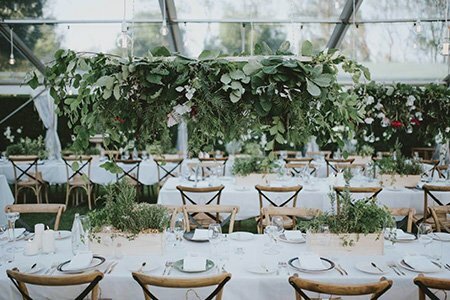 Whether you’re looking to hire for a corporate event, a backyard pool party or a marquee wedding in Melbourne, we have exactly the size, type and style you need to make your event extra special. Whatever the Event, Marquee Hire Melbourne is a Great Way to Make it Special. Whether you’re hosting a wedding or planning a huge outdoor barbecue getting the most out of the space you want to work with is something you really need to consider. 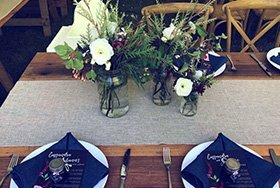 Guests don’t want to feel cramped, give them some room, and let them enjoy the great outdoors with Melbourne marquee hire from Marquee Monkeys. No matter what the weather decides to throw at you, our marquees come with quality assurance. Marquee Weddings in Melbourne from Marquee Monkeys. Whether your wedding is a small intimate affair, or a huge celebration with hundreds of guests, you’ll want your wedding marquee hire to suit your ceremony or reception. This is why we have such a vast selection. From small and intimate 3 metres to a range of huge tents for outdoor spaces. To help make your event even smoother, we offer a range of services to complement your marquee. Click below for information about linen and tableware hire, dance floor hire, tables and chairs hire, lighting hire and much more. Our Clearspan structures have modern clean lines, and are perfect for anything from backyard parties to weddings and corporate events. A variety of styles for tables and chairs are available for hire for events of all shapes and sizes. Enquire with our team today. A number of styles of flooring are available to hire, including synthetic grass, carpet and timber dance floors. Give yourself every opportunity to party. From basic lighting to elaborate chandeliers, a range of lighting styles is available to suit any occasion. Effective heating options also available. We have a fantastic selection of outdoor supplies and equipment, from ottomans to wine barrels, that will really open things up. Dinner settings, china and cutlery are available, plus a full range of glassware including champagne, wine, water and more. The young guys from Marquee Monkeys did my 40th party. The whole operation was really impressive, from start to finish. They came out to my house, to measure, they were very professional, made lots of helpful suggestions, and all of their equipment was high quality and they delivered with no fuss. My guests loved the look, with the chandeliers , lights and flowers. Marquee Monkeys supplied our family with hire equipment for our sons 21st birthday, the night was a great success and the marquee looked fabulous. The heating and lighting provided not only kept us warm but also created the perfect atmosphere! The service provided was prompt, professional and personal and ensured we had a night we won’t soon forget. I always recommend Marquee Monkeys to my friends and family and no one has ever been disappointed! I had to write to you to say how thankful I am for your help in making our event as memorable as it was. Your service and attention to detail was excellent from start to finish, and we had so many compliments from our friends. Best of luck with the rest of the year and we will be back!